What is an Investment Portfolio? An investment portfolio is a set of financial assets owned by an investor that may include bondsBondsBonds are fixed-income securities that are issued by corporations and governments to raise capital. The issuer borrows capital from the bondholder and makes fixed payments to them at a fixed (or variable) interest rate for a specified period. What is an Indenture? An indenture is a binding contract between an issuer, stocks, currencies, cash and cash equivalentsCash EquivalentsCash and cash equivalents are the most liquid of all assets on the balance sheet. Cash equivalents include money market securities, Bankers Acceptances, Treasury bills, commercial paper, and other money market instruments., and commodities. Further, it refers to a group of investments that an investor uses in order to earn a profit while making sure that capital or assets are preserved. Stocks are the most common component of an investment portfolio. They refer to a portion or share of a company. It means that the owner of the stocks is a part owner of the company. The size of the ownership stake depends on the number of shares he owns. Stocks are a source of income because as a company makes profits, it shares a portion of the profits through dividendsDividendA dividend is the share of profits a shareholder receives, made on behalf of the corporation. When a company genearates a profit and accumulates retained earnings, those earnings can be either reinvested in the business or paid out to shareholders as a dividend. Types include: cash, common, preferred, stock, property to its stockholders. Also, as shares are bought, they can also be sold at a higher price, depending on the performance of the company. When an investor buys bonds, he is loaning money to the bond issuer, such as the government, a company, or an agency. A bond comes with a maturity date, which means the date the principal amount used to buy the bond is to be returned with interest. Compared to stocks, bonds don’t pose as much risk, but offer lower potential rewards. Alternative investments can also be included in an investment portfolio. They may be assets whose value can grow and multiply, such as gold, oil, and real estate. Alternative investments are commonly less widely traded than traditional investments such as stocks and bonds. Portfolios come in various types, according to their strategies for investment. From the name itself, a growth portfolio’s aim is to promote growth by taking greater risks, including investing in growing industries. Portfolios focused on growth investments typically offer both higher potential rewards and concurrent higher potential risk. Growth investing often involves investments in younger companies that have more potential for growth as compared to larger, well-established firms. 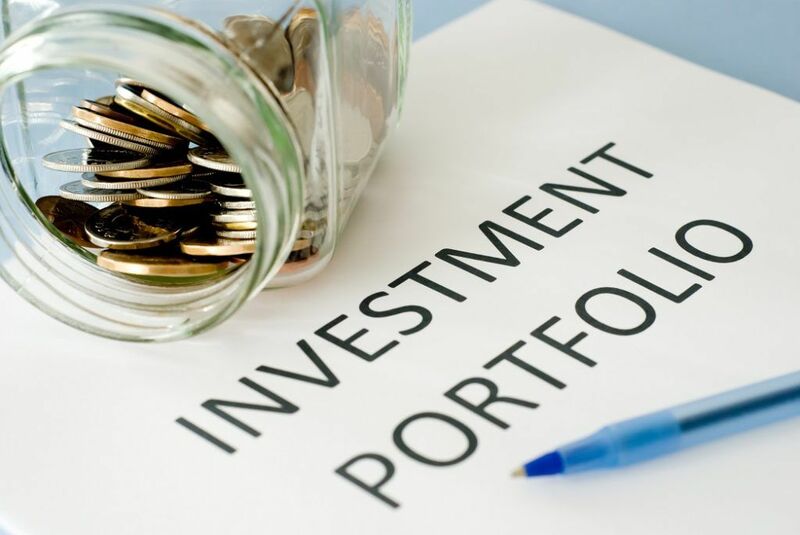 Generally speaking, an income portfolio is more focused on securing regular income from investments as opposed to focusing on potential capital gains. An example is buying stocks based on the stock’s dividends rather than on a history of share price appreciation. For value portfolios, an investor takes advantage of buying cheap assets by valuation. They are especially useful during difficult economic times when many businesses and investments struggle to survive and stay afloat. Investors, then, search for companies with profit potential but that are currently priced below what analysis deems their fair market value to be. In short, value investing focuses on finding bargains in the market. To create a good investment portfolio, an investor or financial manager should take note of the following steps. Investors should answer the question of what the portfolio is for to get direction on what investments are to be taken. Some investors like to be continually buying and then selling stocks within a very short period of time. They need to remember that this increases transaction costs. Also, some investments simply take time before they finally pay off. The higher the price for acquiring an asset, the higher the break-even point to meet. So, the lower the price of the asset, the higher the possible profits. As the old adage goes, “Don’t put all your eggs in one basket.” The key to a successful portfolio is diversifying investments. When some investments are in decline, others may be on the rise. Holding a broad range of investments helps to lower the overall risk for an investor. Alternative InvestmentAlternative InvestmentAn alternative investment is an investment in assets different from cash, stocks, and bonds. Alternative investments can be investments in tangible assets such as precious metals or wine. In addition, they can be investments in financial assets such as private equity, distressed securities, and hedge funds. Investing: A Beginner’s GuideInvesting: A Beginner's GuideCFI's Investing for Beginners guide will teach you the basics of investing and how to get started. Learn about different strategies and techniques for trading, and about the different financial markets that you can invest in. Stock Investing: A Guide to Value InvestingStock Investing: A Guide to Value InvestingSince the publication of "The Intelligent Investor" by Ben Graham, what is commonly known as "value investing" has become one of the most widely respected and widely followed methods of stock picking.